Pinnacle High Peak Cross Cable tents are designed with a high peak tube supported by cross cables extending from each corner tube, maximizing the usable space underneath while at the same time eliminating the need for interior frames or support poles. The simple design allows for easy transportation, storage, and installation involving only two people due to the reduced amount of hardware in comparison to other frame or pole tents. 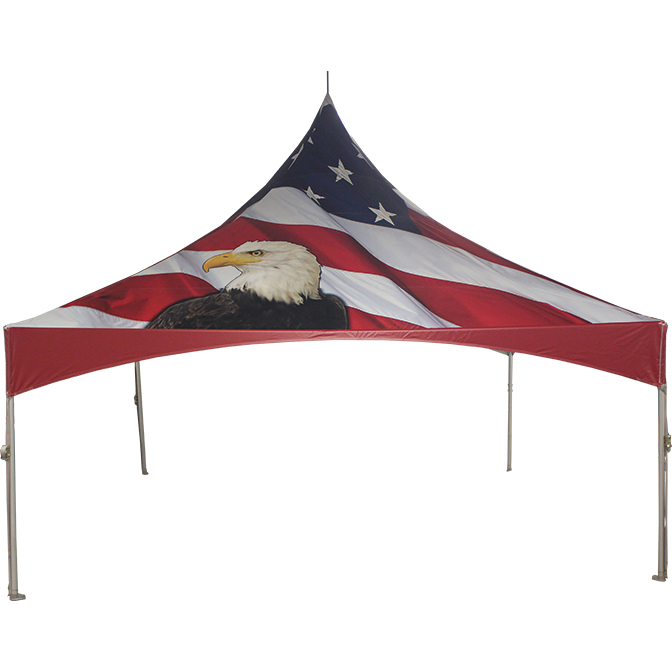 Pinnacle High Peak Frame Tents allow custom artwork, corporate logos, team names or marketing messages printed directly on tent material which is then manufactured into customer's finished branded tent. 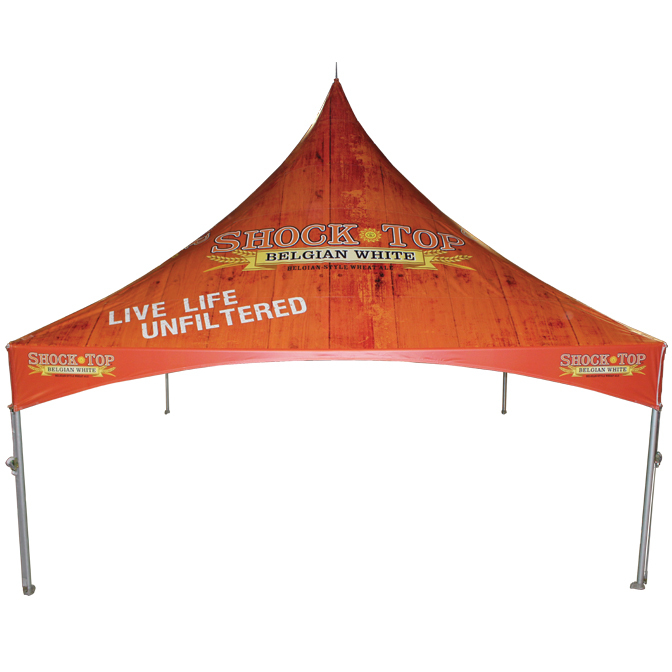 The Pinnacle series of custom promotional tents are used at trade shows, outdoor festivals and other marketing events.